Those of you installing or planning to install the Windows 10 Technical Preview are eventually going to wonder: You know, this is great for business users, but what’s in it for me? Expect Microsoft to begin answering that question in 2015. If the rumors are true, that means three big things: Cortana, notifications, and Internet Explorer 12. That’s because for now, Microsoft is trying to win businesses back. Microsoft executives said several times during the launch of Windows 10 that the company’s first priority was taking Windows 10 on the road to enterprise customers. According to Joe Belfiore, the corporate vice president of the operating systems group at Microsoft, businesses have pushed back, saying the Live Tiles of Windows 8 required too much training. In part, that’s why that Live Tiles are now simply an add-on to Windows 10’s Start menu, rather than an in-your-face element of the entire operating system. 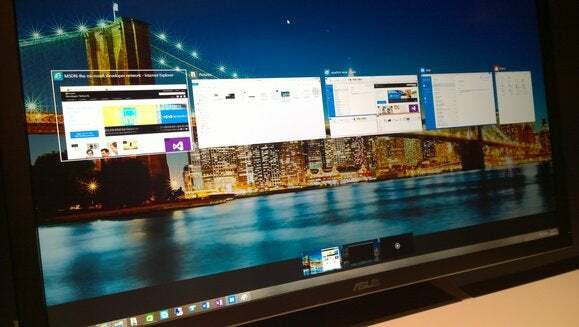 Windows 10’s virtual desktops are of equal value to both consumers and professionals alike. Granted, what Microsoft has shown off so far in Windows 10 applies equally to businesses and home users alike. 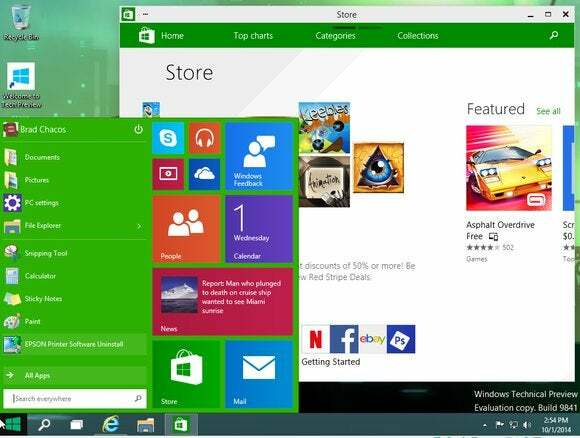 The Start menu isn’t an overtly pro-business element, and neither are the windowed apps, virtual desktops, or the nifty Snap Assist tools. That would be like saying mouse support is strictly for businesses. But there’s definitely more coming. According to Terry Myerson, Belfiore’s boss and the executive in charge of operating systems at Microsoft, “early next year” Microsoft will begin talking about the “delight” Windows 10 will bring to end users, specifically consumers. In April, Microsoft will continue the story, laying out its developer plans. 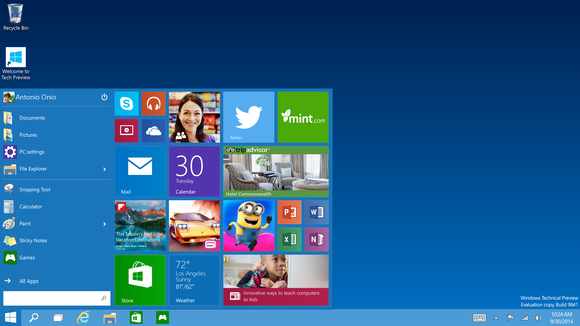 By mid-2015, Microsoft hopes, the company will launch Windows 10. 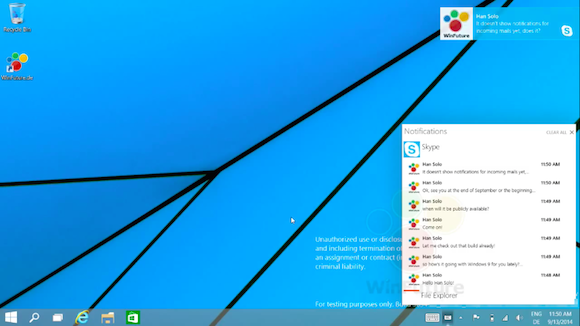 The Start menu in Windows 10 can be used to launch Win32 or newer Modern apps alike. It doesn’t take a rocket scientist to guess that Microsoft will probably lay out its consumer plans for Windows 10 at the Consumer Electronics Show in Las Vegas, where it previously launched the Surface tablet. The only hitch in that plan is that in years past, Microsoft’s Bill Gates or Steve Ballmer would headline CES with a keynote address. So far, the only keynote speaker scheduled is Samsung chief executive Boo-Keun Yoon. Assuming Microsoft does plan a January, consumer-focused update to Windows 10, what could it include? Notifications: Notifications have become part and parcel of most mobile operating systems, including Windows Phone, so it’s likely they’ll arrive on Windows 10 as well. Microsoft’s Belfiore has a team of developers working on “core” technologies underlying Windows Phone and Windows 10, and notifications are surely part of the package. Notifications inside (a forthcoming build of) Windows 10. When you think about it, Outlook has popped up a “notification” about an upcoming appointment for years. The new notification center would apparently streamline such alerts and tuck them into a corner of your screen. Cortana: Recent leaks strongly suggest that Cortana, the name for Microsoft’s digital assistant powering Windows Phone, will eventually surface in Windows 10. Neowin describes it as being an app, with the familiar circle icon. It’s very likely Cortana will eventually replace the search app within Windows 10 in some capacity, in the same way the Live Tiles in the Windows 10 Start menu provide context and additional functionality in addition to the left-hand list of applications. Cortana will also undoubtedly be used as the “intelligence” behind notifications, including alerts of upcoming appointments and prioritized email. Internet Explorer 12: Microsoft continues to push its browser forward. The latest reports claim it contains a better extensions model to allow improved third-party plugins. Whether Microsoft will actually continue to call the browser “Internet Explorer” seems a bit more far-fetched: Reportedly it's named “Spartan” internally, but it seems a bit silly to dump years of brand awareness in favor of a new name. As Microsoft ties Windows Phone and Windows closer together, expect more shared elements between the mobile and desktop experience. Improved app store: Microsoft executives also publicly pointed to a unified app store model that will complement the integration of Windows and Windows Phone, confirming reports from last year. 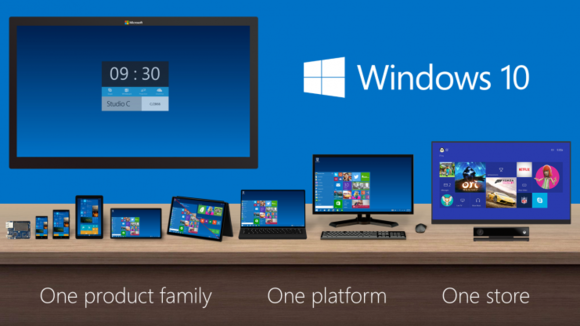 Microsoft plans a consistent app store across devices. How that will play out is still anyone’s guess, although Microsoft has miles and miles to go before it can catch up with the variety of apps found within Valve’s Steam distribution service, for example. I think we’d all like a Microsoft apps store that looks more like the Electronics Boutique or Egghead Software of old, rather than a home for crap apps and casual games. Google, meanwhile, has positioned Google Play as a one-stop shop for apps, games, music, movies, magazines, and books. There’s no reason Microsoft shouldn’t be able to do something similar. For now, though, businesses and enterprises are the first priority. On Wednesday, Net Applications reported declines in market share for both Windows 8 and Windows 8.1: from 7.09 percent of the market in August to 6.67 percent in September for Windows 8.1, and from 6.28 percent in August to 5.59 percent in September for Windows 8. Microsoft needs tens of thousands of businesses PCs to stick with Windows and move straight onto Windows 10, with the hope that those workers will eventually follow suit on their home PCs, too.